What do you do when you get your hands on a giant pile of white ornamental fence pieces? Build an extravagant winter village of course! At least, that’s what builder Joe Gan did. The lovely white houses definitely make this picture zoom-worthy, but my favorite part is the giant purple Christmas tree. The color choice, in addition to the other accents throughout, make for an eye-catching build. If there is any indicator that the winter holidays are fast approaching, it’s the release of LEGO’s annual addition to the growing Winter Village collection. 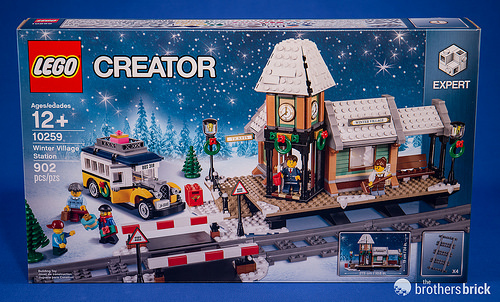 Each year at around this time, we see another charming set hit the shelves, and they’re arguably just as prized to collectors as Modular Buildings like 10260 Downtown Diner. This year’s holiday season brings us 10163 Winter Village Fire Station. The set has 1166 pieces, including 6 minifigures, a baby, and a dog. 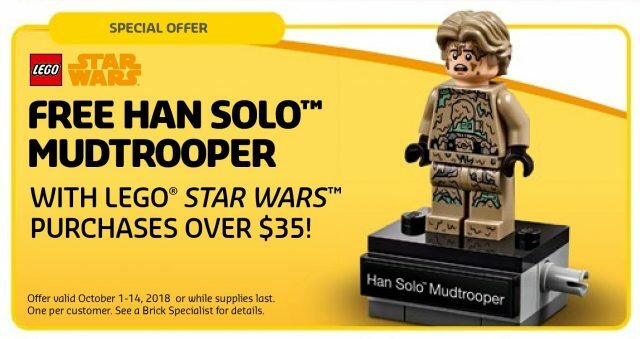 It’s currently only available for LEGO VIP Program members, but will be available to anyone starting October 1st, retailing for $99.99 USD. Click to read more about the newest addition to the Winter Village holiday collection! LEGO VIP members get early access to two sets today, the 75222 Star Wars Betrayal at Cloud City and the 10263 Winter Village Fire Station. 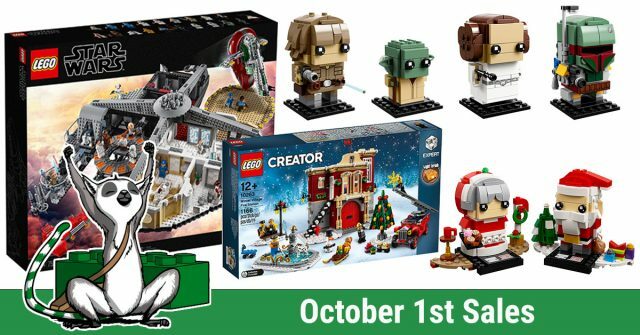 Both sets will be available generally starting October 1, though since technically anyone can sign up for the LEGO VIP program, anyone could get them today as long as they are still in stock. 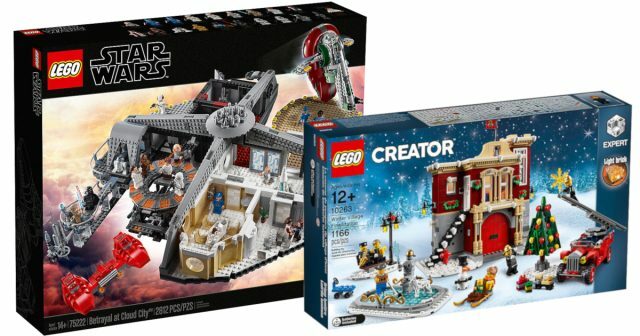 75222 Betrayal at Cloud City includes 2,812 pieces with 18 minifigs and retails for $349.99 in the US ($399.99 in Canada | £299.99 in the UK). Check out our review of the first set in the Master Builder Series. 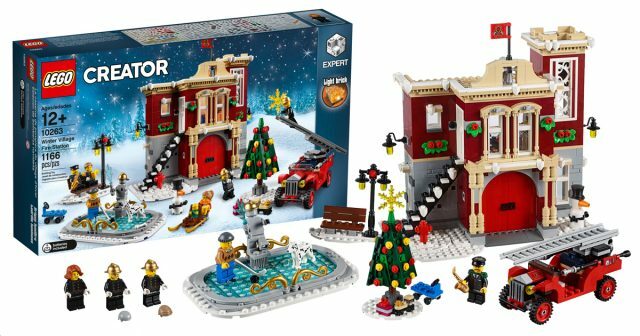 10263 Winter Village Fire Station includes 1,166 pieces with 6 minifigs and baby and retails for $99.99 in the US ($129.99 in Canada | £84.99 in the UK). Check out more pictures of this year’s Winter Village set. 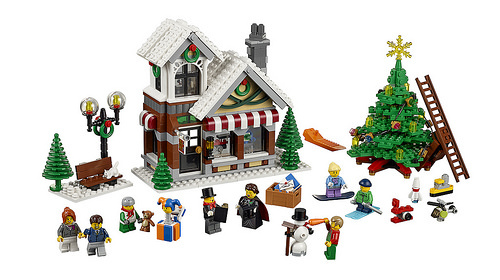 Every year since 2009, LEGO has released an addition to their Winter Village theme. Following last year’s 10259 Winter Village Station, LEGO has revealed that the model for 2018 will be another type of station — a fire station! 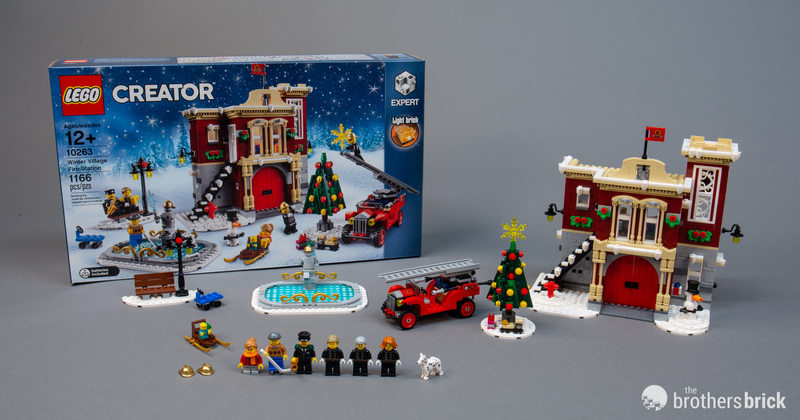 10263 Winter Village Fire Station includes 1,166 pieces, six minifigures and a baby, a Dalmatian, red fire truck, frozen fountain and a Christmas tree. The set will retail for $99.99 starting on October 1, with LEGO VIP availability beginning on September 13. Ten years after the first version hit shelves, the new and improved 75192 Star Wars UCS Millennium Falcon is now available to order from the LEGO Shop online. The largest LEGO set ever released includes 7,541 pieces, 10 minifigs, and is priced at $799.99 USD. In some locales, the set may not be available until 7:30 AM, instead of midnight. The set will be available more broadly starting on October 1st, but is currently available only to LEGO VIP Program members. Of course, you can just sign up for a VIP membership for free, so that means the set is available to everyone now, assuming you’re ready and able to cough up the rent payment eight hundred bucks for it. 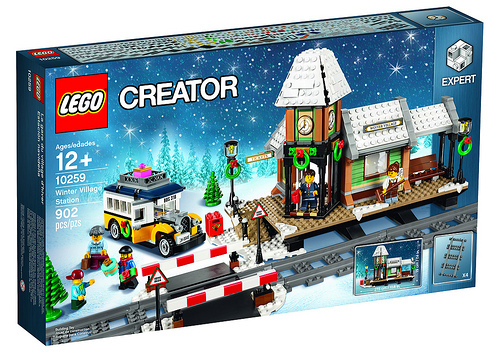 Additionally, the newest holiday set, 10259 Winter Village Station, is also available to VIP club members for $79.99. 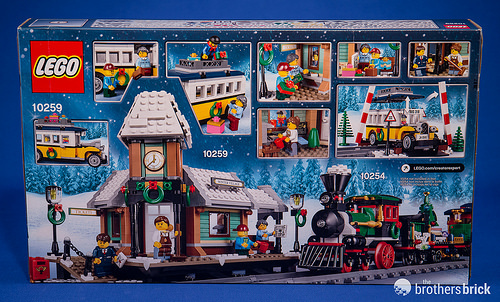 The set pairs perfectly with last year’s 10254 Winter Holiday Train and has 902 pieces (or just under an eighth of the size of the UCS Millennium Falcon for one-tenth of the price!). These sets, along with all LEGO 2017 Advent Calendars and newer sets like the Old Fishing Store, are now available to order from the LEGO Shop online. It’s that time of year again: winter is coming, and that means another new Winter Village set. 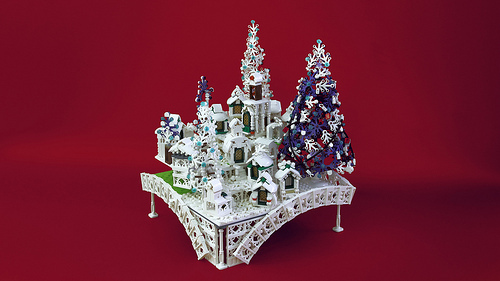 Having been a staple since 2009, Winter Village sets create a quaint cottage-style holiday town. Last year’s set was 10254 Winter Holiday Train, which featured only a small wayside stop. 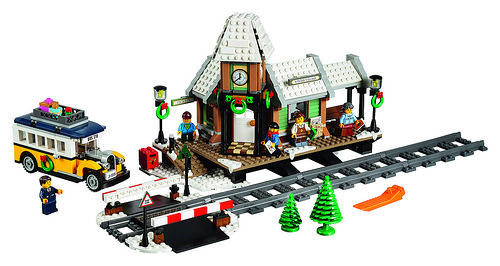 LEGO is giving it a huge boost with this year’s set, 10259 Winter Village Station, a proper station for the rail line. 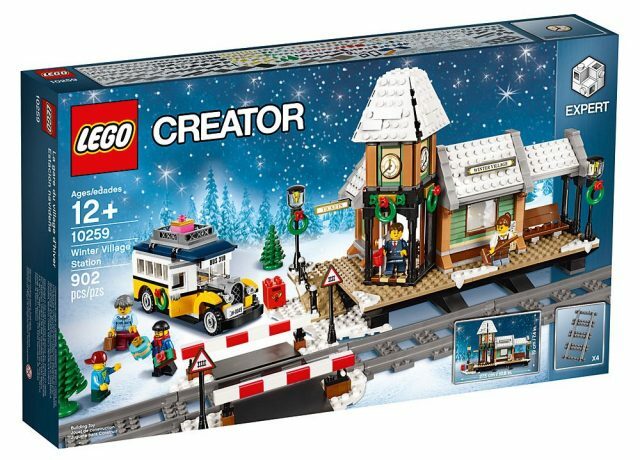 Winter Village Station has 902 pieces and will retail for $79.99 USD when it’s available Oct. 1. While LEGO has not yet confirmed, it will also likely be available Sept. 15 to VIP club members, as previous Winter Village sets have been. Click to read the full press release and see all the images. Here’s your first look at the latest set in the popular Winter Village series, 10249 Winter Toy Shop. Now, some of you may be scratching your heads, wondering why this looks so familiar: this set is a re-release of 2009’s 10199 Winter Toy Shop. This time around LEGO has swapped out a few colors, and added a few pieces, bringing this version to 898 versus the original’s 815, which is apparently enough to justify a $20 price bump. It will retail for $79.99 USD, available beginning in October. It is disappointing that LEGO won’t be releasing an all-new Winter Village set this year, but should make folks happy who missed out on the Toy Shop the first time around. Let us know in the comments if you think a re-release like this is great for fans, or just disappointing. Don’t forget to pick up the last several Winter Village sets, which are still available: 10235 Winter Village Market, and 10245 Santa’s Workshop. Full press release below, and the full gallery on flickr.